It’s been a busy week of success for two of Youngstown State University’s track and field standout athletes. Chad Zallow for the men’s team and Chontel Fils for the women’s team each earned Horizon League Track and Field Athlete of the Week honors. This is Zallow’s second consecutive week earning the award, after setting a YSU and Watson and Tressel Training Site record in the men’s 60-meter dash, with a time of 6.72 seconds. Fils broke the triple jump record during her performance at the YSU College Invitational, while finishing in first place with a 12.28-meter jump. She also had a third-place finish in the long jump, even with a jump of 5.70-meters. Zallow, the senior hurdle and sprint man from Warren, has drawn recognition from across the country and exploded onto the track and field scene since his start with the Penguins athletic program in 2016. 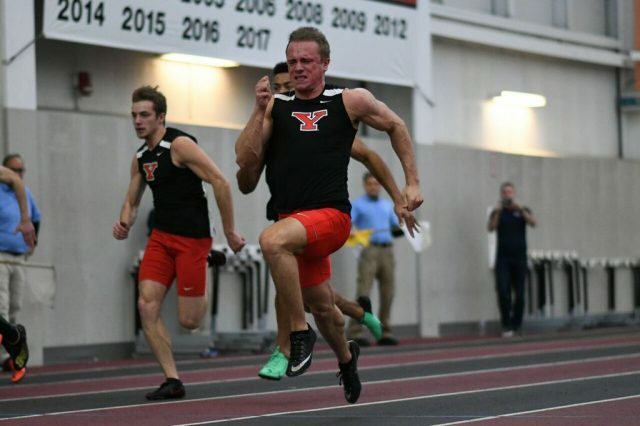 YSU Track and Field Coach Brian Gorby, who has been with the Penguins for 29 years, acknowledges that Zallow really is a once-in-a-generation athlete. Zallow has been named on the NCAA All-America first team twice in his career, while earning just as many second-team honors. Even though Zallow is now a household name, it’s what takes place away from the meets and the cameras that makes him so great. “It’s what people don’t see. He separates himself based on his natural talent, but he outworks everyone, and we’ve had some great ones. He’s an ambassador for the program,” Gorby said. He also gave credit to assistant coach David Townsend, who works with Zallow on a daily basis. Chontel Fils, a junior exercise science major from Bradonia, New York, competing in jump events, is now making noise after her record-breaking performance in her most recent appearance on the field. Overall, the Penguins put up a strong performance at the YSU College Invitational. The men finished in first place in the triple jump with a 13.72-meter leap by sophomore Daiquain Watson. Last season, Watson, a natural science major, took home third place in the high jump at the Horizon League Championship meet. Also taking first place, this time in shot put, was senior Dom Westbay with a throw of 17.17-meters. This first-place finish also broke Westbay’s personal best throw by .01-meters, set in the YSU Icebreaker meet earlier in the season. Other notable performances included freshman sprinter Suerethia Henderson, who won the 60-meter dash with a time of 7.68 seconds. Henderson followed up with a time of 24.93 seconds in the 200-meter run, finishing in first place. Freshman Destiny Washington took second place in the 60-meter with a time of 8.71 seconds. For the men’s 60-meter dash, taking home second place was junior Collin Harden, finishing in eight seconds flat. In the 5,000-meter run, senior Jennifer Muhlenkamp from Shreve, Ohio finished in second place with a time of 18 minutes and 18.33 seconds (18:18.33). Gorby said to see so many of his athletes do so well lately is really a testament to the athletes. “Got to give the kids and coaches a ton of the credit. 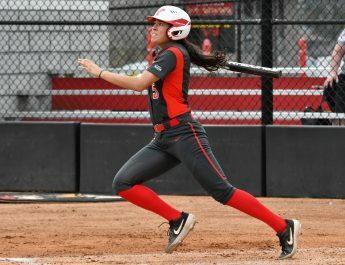 It’s a total team effort, our staff does a great job,” he said. The next meet for the Penguins will be Friday, as they travel to Pennsylvania for the Penn State National Elite Invitational. After the two day meet is completed, the Penguins return home to take part in the YSU National Mid-Major Invitational beginning Feb. 1. In total, the squad will participate in six meets before the Horizon League Indoor Championship meets Feb. 23.